A snapshot of events coming up for art Synergy V ArtPalmBeach from January 17 through 21st includes several exciting additions to the schedule of events! We’ll partner with Old School Square in bringing a hands-on art project for children to the Convention Center where they will be able to create art and exhibit in the booth during the show! We will be offering free tickets to the fair for the children and their parents. Each evening after the close of the fair, we have scheduled events with our District Partners in Lake Worth, Delray, West Palm and Lake Park. The Rickie Report shares the details and the list of artists accepted to art Synergy V’s Exhibit which takes place at the Palm Beach County Convention Center in West Palm Beach. Art Synergy has partnered with Eagle Arts Academy in Wellington to gather donations for school supplies for the children that have come to South Florida from Puerto Rico. The new logo says it all….“art Synergy We Aspire To Inspire”. Kudos to all! Here is a snapshot of the calendar of events. A unique gallery Show, live music, wine, appetizers, and GLASS BLOWING BY Benzaiten artists: Rick Eggert and David Peterson. We will also have 2 Visiting Artists joining us for Special Demos: Ross Richmond, Glass Blower and Chadd Lacy, Flameworker. Meet the artists of the Art Synergy V Exhibition and enjoy a magical evening of art and music featuring “Looking Glass”, a group exhibition currently featuring contemporary artwork that immerses the viewer into the piece by creating their own reflection. The viewer and space around the piece become a part of the work itself. Later join us at the adjacent Pavilion for “UNLEASHED DELRAY” a night of high energy music and drink. Ocean Avenue from Seacrest Boulevard to Federal Highway. The national exhibit is an easy-to-walk, self-guided, 30-minute tour along E. Ocean Avenue in the City’s Cultural District. Albert Paley’s descriptive commentary of each of his sculptures can be accessed via a smartphone connecting with a QR code on each of the artwork plaques. Art Synergy has partnered with Eagle Arts Academy in Wellington to gather donations for school supplies for the children that have come to South Florida from Puerto Rico. As of this week, Eagle Arts Academy has received 35 children from Puerto Rico, including 16 this week alone. They have spent over $5K in hotel housing support, funded by a GoFundMe account, to house the new families that were devastated by Hurricane Maria. The school is K_* and are in need of backpacks and supplies for these children. You can drop them off at The Box Gallery during business hours. Northwood Village hosts “Artist Open Studios Tour” during monthly “ART NIGHT OUT” event, focusing on local artists in Northwood Industrial District. Stop by Northwood Village for dinner, a beverage, and a whole lot of art on Friday, January 27th. The Rickie Report shares the details and some sneak peeks from previous events. This is an easy way to meet emerging and established artists who happen to call West Palm Beach, FL their home! Free Event! Trolly Shuttles! Free Parking! Free street parking located throughout Northwood Village. The art scene continues this month in West Palm Beach when the Art Night Out event in Northwood Village hosts an artist open house in the area’s Industrial District. On the heels of the Art Palm Beach and Continuum WPB Arts fairs, the West Palm Beach Community Redevelopment Agency will keep the art scene alive by showcasing its burgeoning local artist studios. The Northwood Industrial District, located just a few blocks west of Northwood Village, consists of large warehouses that are working studios for several prominent local artists. Trolleys will shuttle guests from Art Night Out on the corner of Northwood Road and Broadway to the artists’ studios tour. Art Night Out will take place from 6:00 p.m. to 9:00 p.m. on January 27, 2017, on Northwood Road in West Palm Beach. o Elizabeth Hutchinson, also known as Melo, was born and raised in South Florida. She attended Palm Beach State College for Graphic design in 2009. It was there that she was reintroduced to her love of the arts. In 2011 she began curating shows in order to shed light on the underground urban art and music scene. “My surroundings, love of fine art, and culture have helped shape my artistic identity. I describe my work as instinctive. Rarely do I sketch out subject matter or plan a color scheme. I love to work through the mishaps that occur when things are unplanned. Painting is a give-and-take process for me. Each piece is a problem or conversation that I’m working out on canvas”. o James Sagui has been a professional woodworker, sculptor, and furniture designer/maker since the age of 15. He studied at Boston University’s Program in Artisanry. After 20 years working in Boston, in 2003 he established his workshop in West Palm Beach and was one of the first artists to work in the Northwood Industrial District. His studio furniture and sculptures are collected worldwide including permanent collections at the Museum of Fine Arts, Boston. Currently represented by various galleries in Florida including Arthouse 429 in Northwood, James has been a woodworking Instructor at the Armory Art Center, West Palm Beach and currently hosts life drawing sessions at his studio three times a week. A member of the International Furniture Society, Sculptor.org as well as other professional organizations, James has also shown at Art Basel, Miami, SCOPE and Art Palm Beach. o Liz Ghitta Segall, was born in Canada, raised in New York and spent most of her life in Paris, France. A painter since childhood, she studied with Bernard Pfreim, Richard Pousette-Dart and Julien Levy at Sarah Lawrence College and at L’ecole Des Beaux Arts in Paris. She established her studio in the Northwood Industrial District along with her husband, James Sagui, over ten years ago and is represented by various Florida galleries including Arthouse 429 in Northwood Village. Currently an Instructor of Abstract Painting at the Society of Four Arts, Palm Beach, FL and at the Jupiter Island Beach Club in Hobe Sound, her work is collected internationally and has been shown at Red Dot Art Fair, Miami, Art Palm Beach among other venues. o Sam Perry, a noted artist who grew up in Northwood and focuses on abstract and the human figure. He is now one of the area’s most accomplished artists. He achieved success as an abstract artist in galleries in Miami, New York and elsewhere. Then, in the wake of 9/11, Sam chose to focus on the human figure. “It was a paradigm shift for me”, he explained. “I became more aware of humanity and its frailty”. Sam is an active proponent of the arts in this community. A member of the faculty of the Armory Art Center since 1987, he is now the longest-serving person there. He has taught art at Florida Atlantic University, Palm Beach Atlantic University and Dreyfoos School of the Arts, in addition to private lessons. As an independent curator Sam has produced exhibitions at Palm Beach Atlantic University as well as in Northwood at Harold’s Coffee Lounge and, before that, at My Coffee House. He has an uncanny knack for discovering the worthy yet overlooked artists in our midst. Sam received all of his education in Florida. ” I like to paint because it connects me to my community”. Sam added, “I think West Palm Beach can become even more significant in the arts. The Norton is growing, and so is the population of sophisticated art-lovers”. o Terre Rybovich, an artist born and raised in old Northwood known for her unconventional drawings. She is a daughter of Tommie Rybovich, who designed and built world-renowned boats in Northwood. Rybovich herself has drawn since she could hold a crayon. Largely self-taught as an artist, she earned her degrees in politics and economics from NYU and the University of Wisconsin-Madison. Her first career was in social justice philanthropy. “Why do I draw?” smiles Rybovich. “As the world’s great drawers will tell you, drawing is the most direct way to perceive the world around us.” The master charcoal artist continued, “I definitely don’t see drawing as just a preliminary step to a painting.” Her drawings have been exhibited throughout South Florida, receiving critical renown. Rybovich’s “…large-scale drawings are intriguing, even if difficult to decode,” wrote the Palm Beach Post. “Fantastic reveries…skillful handling of the charcoal medium.” Another Post review praised, “Mysterious pieces…hints of hieroglyphics and a strong sense of the ethereal…an artist whose work always intrigues and puzzles—in a good way.” Now working in the Northwood Industrial District Arts, Rybovich feels deep satisfaction at the sight of the neighborhood reawakening as a creative focal point. In addition, Jeffrey Ciociola from Art Gallery Modern, who has recently moved to become the newest tenant of the Northwood Industrial District, will be displaying over 500 original pieces of modern, contemporary and outsider art. 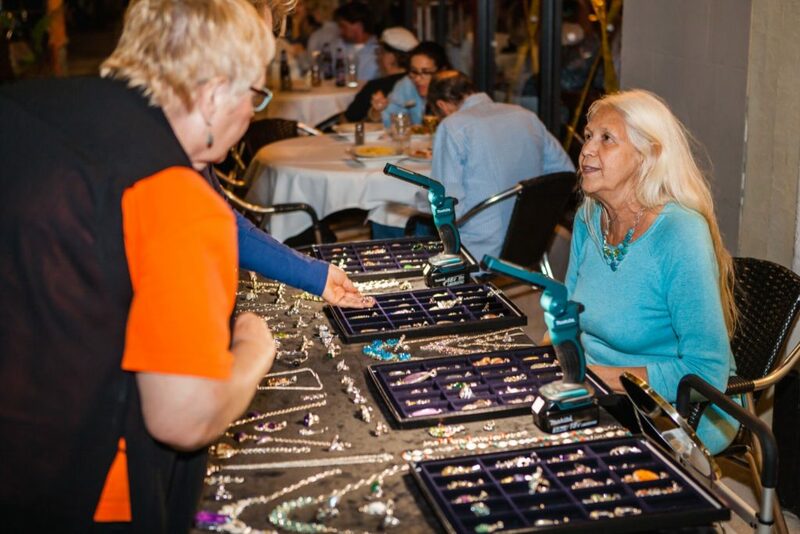 Guests at the Northwood Village Art Night Out can enjoy local art and craft vendors from all over South Florida, shopping at the unique boutiques and galleries open late, live street-side artists and musicians, along with special features throughout the year like the Industrial District open studios tour. Residents and visitors looking for something out of the ordinary can experience an inspired evening in Northwood Village with impressive restaurants, distinctive shopping, and array of art in a laid back and hip atmosphere. 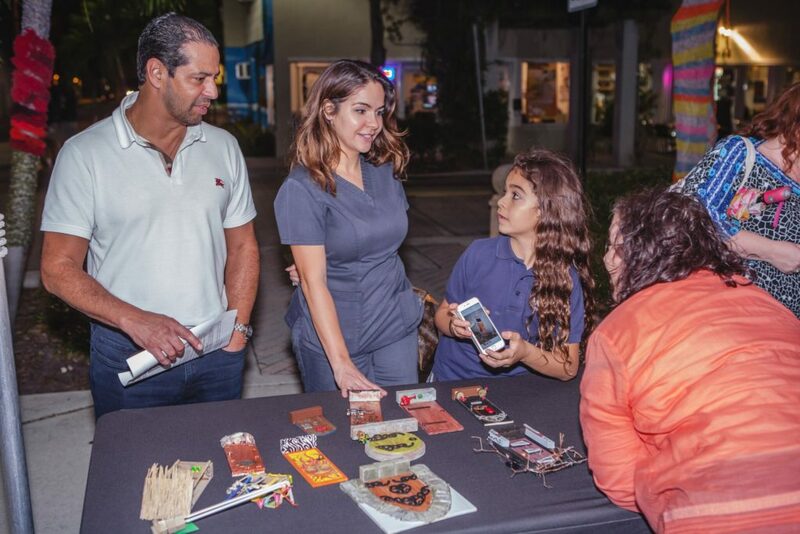 For more information about Northwood Village or Art Night Out, visit www.northwoodvillage.com or call 561.822.1550 for details. The Rickie Report shares a comprehensive overview of the ArtPalmBeach Art Synergy ARTWEEK events. Future articles will focus on individual venues. There is a superabundance of art-related events in Palm Beach and Martin Counties featuring thousands of international, national and local acclaim. Don’t miss the emerging artists! Get your calendars ready for a whirlwind of ART ! 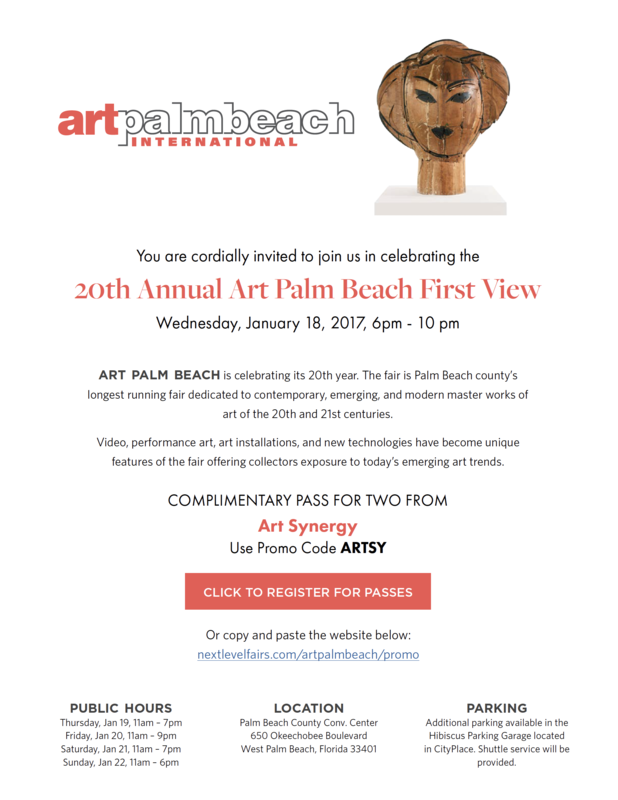 The Art Synergy sponsored Art Palm Beach Week Events begin with the opening reception of The Art Synergy IV Exhibition at the Palm Beach County Convention Center during the gala reception and celebration of Art Palm Beach: First View and 20th Anniversary. All events are produced in partnership between Art Synergy and our host Art Palm Beach and with the cooperation and support of the City of West Palm Beach, The DDA West Palm Beach,The City of Lake Worth, The City of Boynton Beach, The City of Delray Beach, and various other government and arts organizations of various cities in both Palm Beach and Martin Counties. Art Synergy is a 501 (c) 3, not for profit arts organization founded in 2013. The fruit of the labors of Rolando Chang Barrero, Craig McInnis and Freddy Hennevelt grew out of the original Think Tank,. It has flourished through grassroots efforts beginning with a partnership with Art Palm Beach. Currently, Rolando Chang Barrero, President and Ilene Gruber Adams, Vice President are managing the organization along with the support of many artists and art lovers in the community. Volunteers and board members are always welcome. By March 2017, Art Synergy will have organized 6 juried exhibition that have provided Florida based artists to have their work seen, and collected by national and international collectors and art patrons. 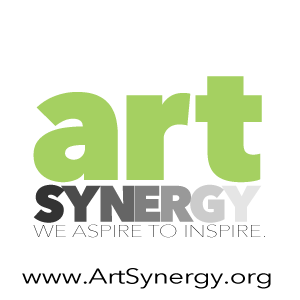 Also, Art Synergy assists nine Florida art districts organize, promote and market over 65 exhibitions in each year throughout the Palm Beach and Martin County durning Art Palm Beach week which was initiated January 2014. The nine art districts are: Antique Row Art District,Boynton Beach Art District,Delray Art Art District,Lake ParkArt District,North Palm Beach Art District,Lake Worth Art District,Northwood Village Art District,West Palm Beach Art District,Palm Beach Art District. In 2016 Art Synergy was classified as a 501 (c) 3 not for profit arts organization which will allow for contributions and donations to a fund currently being created to allow needy families join experiential cultural experiences. This was possible because of the generosity of David and Lee Ann Lester of Next Level Fairs who donate exhibition spaces (Booths) at 2 of the Next Level Fairs: Art Palm Beach and Art Boca Raton. ART SYNERGY is a countywide movement to unify and promote the diverse culture of our vibrant arts community. ART SYNERGY’s future goals include events that will happen periodically throughout the year, the addition of more participating art districts, and initiatives that help unify the many diverse art entities, and talented artists that Palm Beach County has to offer. With the help of local CRAs, Public Arts Departments, the DDA in WPB and the Cultural Council of Palm Beach County (to name a few), ART SYNERGY has only one place to go… onward and upward. Tomorrow night, Art lovers will get a double dose of creativity as the Art Night Out event in Northwood Village hosts an Artists’ Open House in the area’s Industrial District! The Northwood Industrial District, located just a few blocks west of Northwood Village, consists of large warehouses that are working studios for several prominent local artists. Trolleys will shuttle guests from Art Night Out on the corner of Northwood Road and Broadway to the artists’ studios tour. Art Night Out will take place Friday, April 29, 2016, on Northwood Road in West Palm Beach. The Rickie Report shares the details and some sneak peeks so you can enjoy tomorrow evenings events! Experience One-Of -A- Kind Shopping! Dave Teal, a figurative artist is a long-time resident of Old Northwood. Elizabeth Hutchinson, an instinctive artist, works out problems and conversations on canvas. Jason Martinez paints spiritually iconic images using acrylic. James Sagui is a professional woodworker, sculptor and furniture designer/maker. Liz Ghitta Segall, a painter since childhood, is known for her abstract expressionist work. Sam Perry, a noted artist, grew up in Northwood and focuses on abstract and the human figure. Terre Rybovich, an artist born and raised in old Northwood, is known for her unconventional charcoal drawings. Northwood Village Announces “ArtNight Out” Starting February 26: Original Art, Hand Made Crafts, Live Music, Galleries, Shops, Restaurants And More Surprises! Northwood Village announces “ArtNight Out” starting Friday, February 26, 2016. The event will take place the last Friday of each month from 6pm – 9pm and promises FUN for all! Enjoy the original art, the hand made crafts, live music and of course, all of the galleries, shops and restaurants Northwood Village has to offer! The Rickie Report shares the details and some sneak peeks! Northwood Merchants OPEN for shopping! Northwood restaurants OPEN for dining! 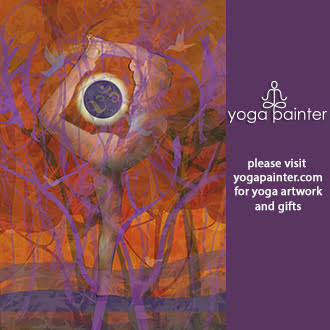 Win original works of Art or Craft items. When you shop with a Northwood Village Merchant on the last Friday each month and spend $5 or more, bring your receipt to the information table and you’ll be entered in a drawing to receive a small surprise from one of our amazing vendors! See you in Northwood Village! Exhibition runs from January 5th to January 30th and is Free during regular Gallery Hours – Tuesday through Saturday 10am to 5pm. Rolando Chang Barrero Fine Art Gallery will be presenting “Wet Foot / Dry Foot : 4 Cubans Conditions and Contributions.” Opening Reception January 15, 2016 | 6-9 PM. Continues through ArtWeek2016 in collaboration with Art Synergy and ArtPalmBeach. The Urban Arts Lofts presents “Art Junction” on Saturday, January 23rd. The artists at the Urban Arts Lofts (UAL) invite you to an evening of sculpture, metalworking, photography, ceramics & custom built wood workings. The Lofts will feature several nationally known artists.For more information log onto: www.lakewortharts.com Studios open at noon. Special reception from 6-9 pm.Free Event! ActivistArtistA Gallery presents “Snapshots! The Artist Gaze, opening reception January 28, 2016 6-10 PM. Back Alley Art Festival The Lake Park Art District In conjunction with Art Palm Beach and ART Synergy we will be hosting The Back Alley Art Festival (Hopefully first annual)! Live painting and murals all night long. Much more info coming so please stay tuned. Food from Diner Dogs Inc. & Woodys Burgers Florida. CONTINUUM is a pop-up art exhibition by Art Synergy in the Arts & Entertainment District in downtown West Palm Beach that takes place during ArtPalmBeach Week. Jan. 21 to Jan. 30 at 522 Clematis Street. The Armory Center will be featuring three exhibitions during Art Palm Beach Week “The Women of Vision”, Rising Waters: an exhibition of recent works by Mags Harries and River: an installation by Mags Harries and Lajos Heder. “The Women of Vision” will feature sculpture, painting, photography, ceramics and mixed media. Rising Waters is an exhibition by Boston based artist Mag Harries it is an ironic and poignant commentary on the dilemma of “Rising Waters”-our inability to grasp it on an individual level and our societal refusal to deal with the effects of global warming already so evident in South Florida. River, the installation by Boston based artists Mags Harries and Lajos Heder of water, light, and shadow creates an apparition of a river from one bucket of water. January 16- February 12, 9:00 a.m. to 5:00 p.m.
Benzaiten Center for Creative Arts will be featuring a glass blowing demonstration with contemporary glass artist Laura Donefer. Donefer has been a driving force in the Canadian glass movement for 18 years, she has curated many exhibits to show Canadian work including a major one in Tucson, Arizona entitled “North of the Border”. Partners in this venture are McMow Art Glass and Habatat Galleries. Artists will be selling their hand made fine crafts from 2 – 9 pm. Bold Beauty Project, ArtPalmBeach has partnered with the Bold Beauty Project and famed photographer Robert Zuckerman to bring the Bold Beauty Project photography exhibit to Art Palm Beach 2016. This innovative visual arts event showcases women who dare to expose their disabilities. The models boldly face the photographer’s lens, and through the process, they uncover their beauty, sensuality and strength to break the molds of conventional beauty. FOTOfusion at the Palm Beach Photographic Centre is the International Festival of Photography and Digital Imaging. In its 21st year it will feature Portfolio Reviews by 100 Experts, Mini FOTOshoots, seminars & panel discussions, hands-on computer labs, multimedia presentations, photography & digital art exhibitions, book signings & gallery walks and fuse and schmooze parties. Jan.19- Jan. 23. Whitespace Collection: Collectors Breakfast featuring artist Rita Montlack and her exhibition “XXL Photographs; A Historical Survey of Contemporary Photography”. This private collection art exhibition space will be open to the public for the annual Art Palm Beach Collectors Breakfast and viewing of this private collection and featured exhibition January 24, Breakfast- 9:30 a.m. to 12:00 noon, collection will remain open until 4:00 p.m. Whitespace will also have a booth at ArtPalmbeach in the Convention Center. Norton Museum of Art will be exhibiting Vincent van Gogh’s “The Poplars at Saint-Rémy , the piece was painted in the same community, and in the same year, as The Starry Night, during a period when van Gogh was hospitalized. Additionally, the Norton will be exhibiting the “Portrait of Mademoiselle Hortense Valpinçon”, which has been rarely – if ever – been exhibited in the southeast United States. Society of the Four Arts Exhibition on Screen: “Henri Matisse: The Cut-Outs” Hailed as the most successful exhibition in Tate Modern’s history, you can now catch “Henri Matisse: The Cut-Outs” at the Four Arts”, featuring exclusive new footage from The Museum of Modern Art in New York. Acclaimed British actor Simon Russell Beale brings insight and emotion to the words of Henri Matisse himself, while actor Rupert Young (Merlin) narrates. Saturday, January 23, 2016 2:00 p.m. – 3:30 p.m., at the Society of the Four Arts. Boca Raton Museum of Art presents Dames: Portraits by Norman Sunshine. 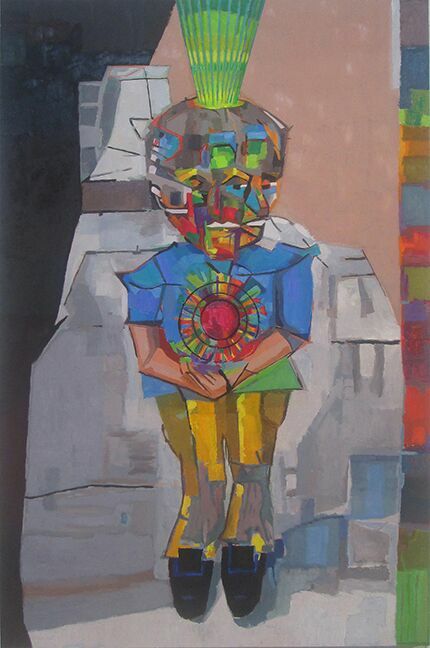 During a period of convalescence when he could not paint as he once was able to do, Sunshine delved into the digital world of art making and searched for subjects of style and substance. In doing so he was taken with notable women; their poise, their composure, and their self-assurance. Among those who have posed for him are art patron Agnes Gund, philanthropist Nancy Kissinger, and Anne Sutherland Fuchs, former publisher of Vogue, Woman’s Day, and Elle. The Lighthouse ArtCenter: “The Manoogian Collection: Two Centuries of American Art”. Considered to be one of the most significant private collections of American art compiled during the 20th century. This landmark exhibition includes 19th and 20th-century American paintings. Dr. Anne Palumbo lecture, “The Statue of Liberty as an American Icon” Thursday, January 21, 2016 5:30 p.m. to 7:30 p.m.
Northwood Village Fine Art Exhibition is a collaborative Fine Art Exhibition featuring select art galleries and spaces of Northwood Village all under one roof in the Marjorie S. Fisher Gallery – Center for Creative Education. The Exhibition will highlight the CCE’s Curated Artist, Bev Myers, Arthouse 429, Bohemia AG, Thompson and Frank Gallery, John Garrity Studio, Hennevelt’s Gallery, Lot 23 Artists featuring Craig McInnis and Northwood Glass Art. The public is invited to the Opening Reception on Wednesday, December 2nd from 6:00pm-8:00pm. A $10 Donation for Entry will support the CCE’s mission to empower their students to grow academically, creatively and socially through arts-based education. The Rickie Report shares the details and some sneak peeks. $10 Donation for Entry to support our mission to empower our students to grow academically, creatively and socially through arts-based education. Exhibition is free to the public during regular gallery hours. Northwood Village Fine Art Exhibition is a collaborative Fine Art Exhibition featuring select art galleries and spaces of Northwood Village all under one roof in the Marjorie S. Fisher Gallery – Center for Creative Education. The Exhibition will highlight the CCE’s Curated Artist, Bev Myers, Arthouse 429, Bohemia AG, Thompson and Frank Gallery, John Garrity Studio, Hennevelt’s Gallery, Lot 23 Artists featuring Craig McInnis and Northwood Glass Art. The public is invited to the Opening Reception on Wednesday, December 2nd from 6:00pm-8:00pm. A $10 Donation for Entry will support the CCE’s mission to empower their students to grow academically, creatively and socially through arts-based education. This exhibition kicks off a full season at the Marjorie S. Fisher Gallery where there are five planned exhibitions over the next four months. Sponsors include Tito’s Handmade Vodka, C-Keys Recording and Vinyl and West Palm Beach Community Redevelopment Agency.